Note:- We provide data based on the Ministry of Corporate Affairs (MCA) only. You can find all detailes of company, Directors, and Address Details. HARLEQUIN CONSULTANCY SERVICES PRIVATE LIMITED. Registrationwala is a leading network of registration professionals in India. It is the company registration consultant in Delhi, India with a substantial client base of 15000+. Being experts in legal, professional and financial advisory services, our team is able to assist the clients with their several business needs like setting up a business entity and managing these entities in a successful and efficient manner. Our primary focus is towards assisting the clients with navigating the legal and the regulatory requirements that are related to business. 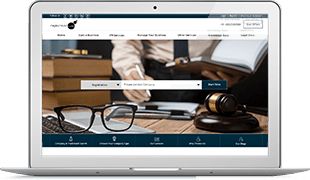 With this purpose, our primary goal is to become the “partner of choice” for the assistance related to company registration and business management in India. Stay up-to-date with our specials, promotions, services and new openings. Please register to get access your activity.